Updated : Our new Penang Chief Minister has sworn in as Penang CM. Read on, this is not your regular boring biodata of a boring person in a boring post. 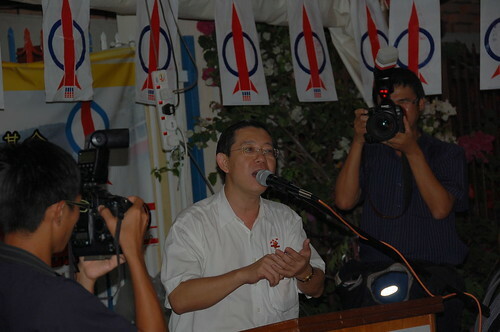 Briefly, YAB Lim Guan Eng is born on 8th December 1960 and that means he will be 48 years old this year. Born in the year of the rat. He is an accountant by profession. He went to jail twice. The first time was a massive detention of many politicians and if I remember correctly, The Star’s publication was suspended as well. During the DAP ceramah over here in Air Puteh constituency, a senior DAP member, Wong Khan Li (Sorry the spelling may be wrong as they introduced his name in Mandarin) related to us about his (Wong) visit to Sdr Lim Kit Siang’s house during one Chinese New Year. He said both senior and junior Lim were in jail then . In that ceramah, Wong shed some tears and was emotional when he told about us about the wives at home. He is a jovial guy but when he related this, he couldn’t contain his emotions. 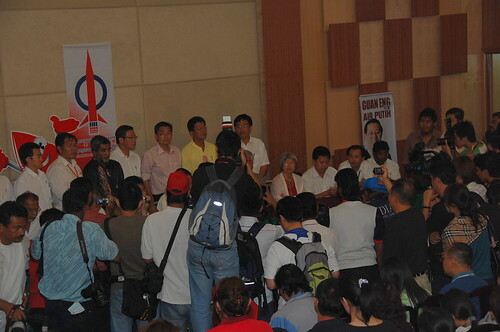 It is the same Wong who was the MC at the DAP Han Chiang mammoth gathering. When you see a funny man suddenly turned emotional in front of a crowd in a padang with no lights, you have to believe that kind of tears. It is shed in front of strangers, not reporters and photographers. Mr Wong said we Penang people are lucky that we have someone like YAB Lim to come to Penang to defend the island for us. He told us that YAB Lim is someone who serves without counting race or religion. He reminded us that YAB Lim went to jail twice. The second time was because he defended the grandma of an under-aged Malay girl. Well, by sheer accident, I found this interview between TV Smith and YAB Lim. GE: You gonna blog about that? TV: How many types of cockroaches were there? TV: How was prison food? PW: I said meaty not meat! Do you remember my post on roasted pork? When I read the above, I felt a chill. I know it is bad in Kamunting and I didn’t know it can be that bad. Until now, I still wonder how I got the idea of digging up the details on ISA. If I didn’t do it the other day, I will still think life is a breeze in ISA and politicians are a bunch of power crazy people who crave attention. I suppose it is some divine being whispering to me to go dig and open up our eyes. TV: What were the toughest moments? GE: When my wife and kids came to visit. When they looked through the separator glass and barbed wire, when they spoke through the intercom to a bald (shaven), helpless husband and father. That’s when it really got to me. TV: How did your family take it? GE: They too, understandably, questioned me as to whether what I stood for was worth it. I was disqualified from Parliament, lost my pension, lost my professional accreditation (as an accountant) and thereby hopes of starting my own practice. So, I believe Penang is in good hands now. We are honoured and extremely lucky to find a man of substance. I hope he will lead our island to be the best of the best. TV: So what keeps you fighting? GE: To be able to help the next down-trodden person who has no one else to turn to… That keeps me going. Tahniah dan syabas, YAB Lim and your comrades from DAP. I have never looked at politicians in this light but you have changed my perspective. Biodata of YAB Lim Guan Eng taken from DAP website. Excerpt of interview with TV Smith taken from his blog post in 2005. Please visit TV’s blog to read. There are lots more interesting things about YAB Lim Guan Eng. 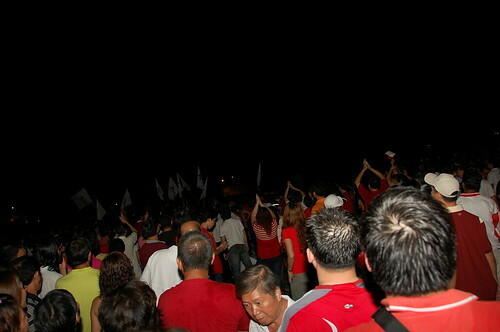 Previous Previous post: How did DAP make such an impressive performance in this 12th election? Baru-baru ini, seorang penjawat awam nak tuntut waren tambang untuk menghadiri kursus, tapi malang nya, ketua jabatan berkenaan kata duit kerajaan tak bagi lagi, waren berkenaan tidak boleh dituntut, kalau nak bayar juga, boleh, bayar dengan duit sendiri dahulu, selepas itu isi borang tututan, supaya dapat balik duit berkenaan. Pernah sekali berlaku bahawa walau pun telah mengisi borang tuntutan tetapi wang tuntutan tidak dibayar balik, atau bayaran tidak mengikut amaun yang telah diisi dalam borang… apalah dah jadi??? kita orang ni hanya makan gaji, dan gaji pun tidak banyak, hanya cukup-cukup untuk menyara hidup, sekarang timbul pula masalah sebegini- duit tidak boleh dituntut.. INI TIDAK ADIL..
kata rakyat didahulukan, pencapaian diutamakan, mana ada??? Harap dato Lim boleh bantu untuk menyuarakan masalah sebegini, supaya hal sebegini tidak akan berlaku dengan kerap, agar rakyat yang berpendaptan rendah ini dapat menjalankan hidup mereka dengan lebih selesa dan gembira..